The powerful new film Casa de Carne won the first-place Tarshis Short Film Award at the 2019 Animal Film Festival. Produced by nonprofit organization Last Chance for Animals, the two-minute film is set at a fictional restaurant, Casa de Carne (Meat House), where diners must personally slaughter animals. In the film, Eric goes out to eat with a few friends. After ordering ribs, he is escorted to the back of the restaurant, where he is given a knife and placed in a room with the pig he is supposed to kill. I’d like this film to make people think and question their everyday reality. Now more than ever, we need stories that expand our circle of empathy and allow us to see the world through a more compassionate lens. It’s easy to use our differences as starting points for conflict: different race, different religion, different country… different species. And yet, we’re all sharing this planet. Our similarities far outweigh our differences. Unsurprisingly, Eric is unable to kill the pig; he pets the animal instead. But this doesn’t stop the chefs from slaughtering the pig for him, raising important questions about personal responsibility over our food choices. The film highlights the disconnect people have between the food they eat and the animals it came from. Many people could not eat meat if they personally had to kill the animals. In fact, a new survey by Cherry Digital found that nearly half of U.S. meat eaters would rather go vegetarian than kill an animal themselves for food. Without a doubt, having watched a film about animal rights or veganism is one of the top reasons people move toward a vegan diet. So why not invite the veg-curious folks in your life to check out this powerful new film? And while you’re at it, here are five more films that will inspire viewers to leave animals off the menu. Ready to make a change? You can stand up for farmed animals by eating more plant-based foods. 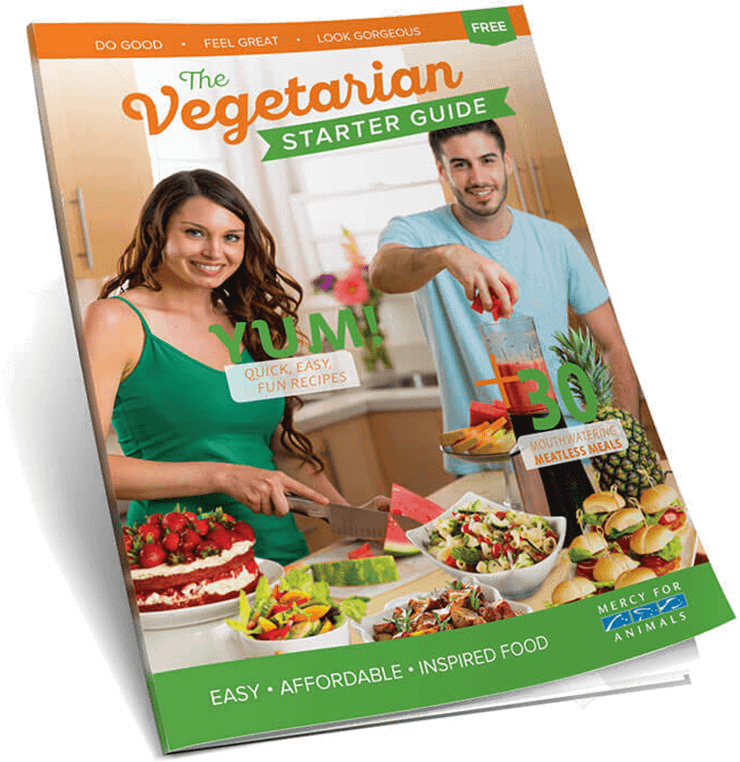 For delicious recipes, easy meal ideas, and tips on making the switch, order your FREE Vegetarian Starter Guide.